OMG, the geekery over at slashdot is killing me. I mean, it is usually rampant with gallons of 7331 testosterone, but this time they just went funny. 111 years ago, Indiana almost legislated pi. The comments had me cracking up (ok, not ALL of them). And speaking of scrapbooks, I have added more pages to Boe’s. Thanks for your submissions too guys. It is turning out rather nicely. 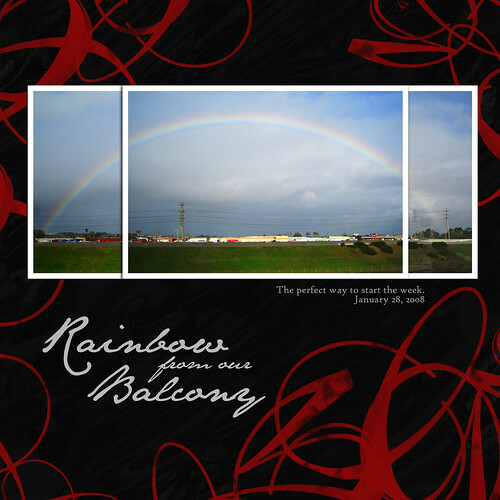 Love your rainbow – and the new pages, it really is a beautiful tribute. thank you for your lovely comments. I am glad you liked them!